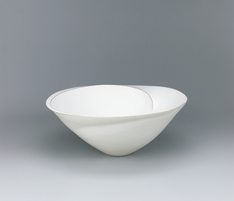 Bowl with white glaze and ridged line design. 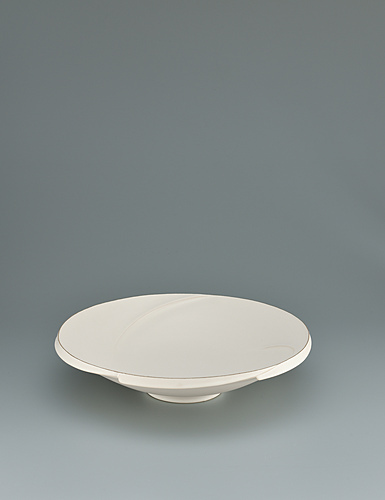 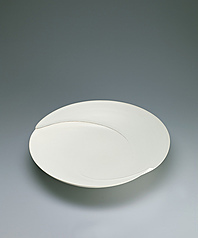 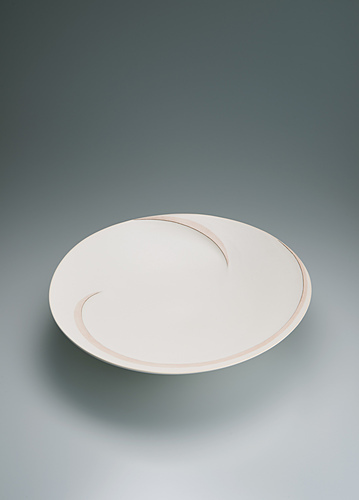 Dish with white glaze and ridged line design. 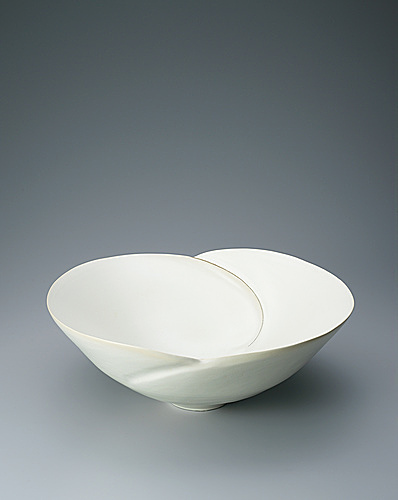 Bowl with white glaze and ridged line decoration.